Today the Reekoh engineering team reached a significant milestone in our product development and evolution – the third major update to our core platform, codenamed “Kraken”. It’s been a very challenging release for the team, but everyone has risen to the occasion to achieve a fantastic outcome for our customers and for the future product roadmap we have planned. At the core of the Kraken release is a new microservices architecture. Our previous monolithic architecture had quickly grown to the point where it was hampering our ability to rapidly iterate on our product. As a company that’s growing fast in an emerging space, innovation is critical to our success and something that our customers are looking for us to deliver. Continuous Delivery: each application is separated to its own container with its own environment. This makes troubleshooting, updating and deployment easier with no downtime for our users. Scalability: monitoring and identifying performance bottlenecks is much easier, which means the platform can scale up or down resulting during times of variable workload, improving overall performance and stability. Rapid innovation: improved ability to innovate on new modules and adapt on changes needed by the market and our customers because of application separation from overall environment. 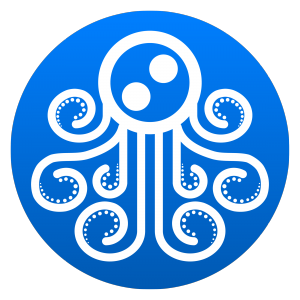 Security enhancements are also part of the Kraken release, with regards to certificate management and our BYO PKI capability. Server certificates can now be directly attached to and configured in Reekoh gateways . Device certificates can also now be directly attached to device metadata. Both of these improvements create greater flexibility with how our customers secure their IoT solutions. With this product release under our belt, expect the rate of delivery of new features and enhancements to significantly increase in the second half of 2018. We have many exciting things in development that will really deliver on our goal to accelerate the adoption of enterprise IoT and emerging technologies. Congratulations and thank you to our product team for their commitment to this product release and to seeing Reekoh succeed and become a market leader. We have an outstanding team and we’re very proud of what they’ve achieved.